After the success that was their Pina Colada Popcorn which was just plain addictive, trying another of their delicious sounding flavours was a must. From sweet to savoury and everything in-between, there really is a flavour out there for everybody. So today it is the turn of Joe and Seph’s Banoffee Pie Popcorn. I love love love a banoffee pie. Done well and it just a little slice of heaven. Naturally I’m pretty happy to see Joe and Seph’s have decided to entertain desserts and taken it upon themselves to create a banoffee pie inspired popcorn. As before you can buy from their online shop and there is a deal if you buy 3. Alternatively you can also find them in varying shops and supermarkets, or on Ocado which is where I got this bag for a joyful £2.99. This pouch is also suitable for vegetarians and is gluten free. Golden nuggets of beauty the crunch was evident and matches the quality of all the other Joe & Seph’s pouches. It had a smooth and very creamy caramel flavour to it with an underlying banana flavour. The banana flavour was pretty subtle, I’d have liked a bit more of a punchy flavour but it was just about detectable. There was also an element of biscuity-ness to them which was spot on in making it taste more like a banoffee pie, rather than just a decadent caramel. 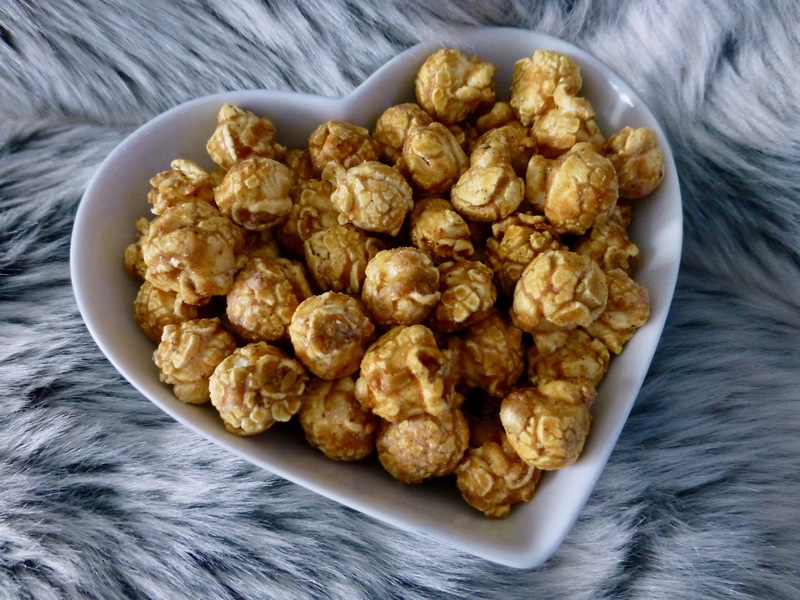 Joe and Seph’s Banoffee Pie Popcorn is an indulgent bag of air popped popcorn. Sweet but not overly so they have made a good attempt at the banoffee pie flavour. Personally there were no issues polishing off this bag of popcorn. A hint more of banana would be my preference, but equally so you may find this is just enough for you. 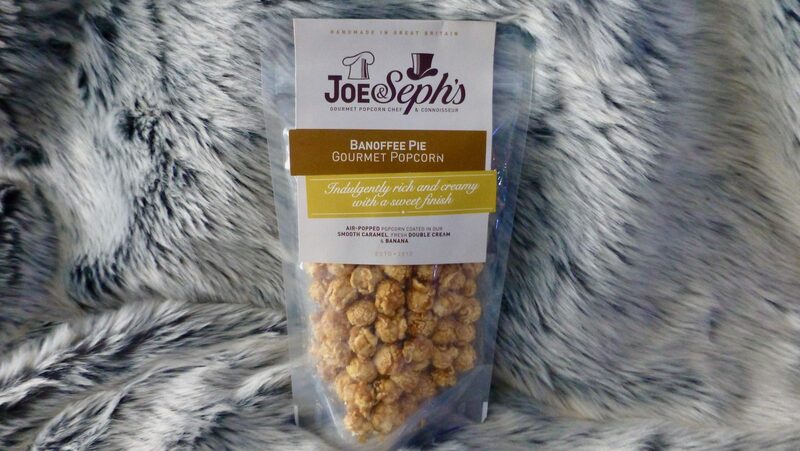 Have you got a favourite flavour of Joe and Seph’s popcorn?